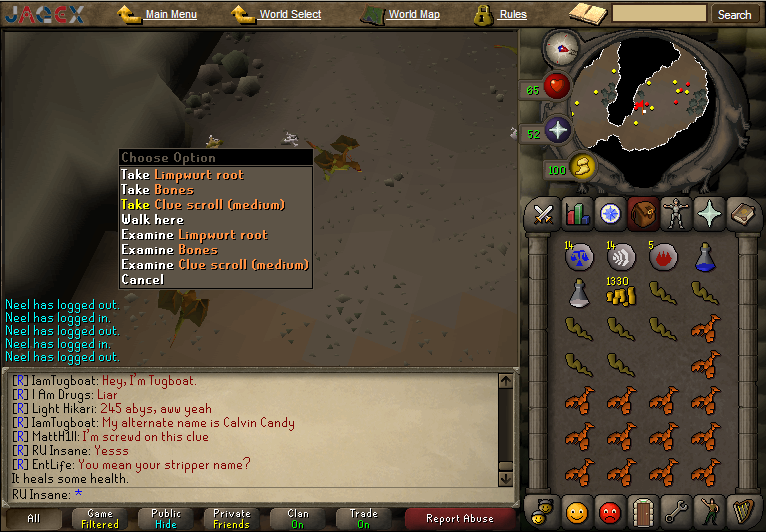 Usually, when I camp Varrock guards for medium clues, I get one in 10 to 20 minutes. Sometimes it drops in under 10 kills. I've done 6 medium clues today, which together took me about 3 hours to get. and I wonder if there's a daily limit, because I've been having a dry streak with clue drops. I've killed 100+ guards on my last trip, and no clue. I know you can't get another clue drop if you already have a clue banked/in inventory, but I finished my clues before hunting for others. Left one in bank by accident? If you have one banked, none are shown as drops. A case of bad luck, then. I switched to cockatrices and still no drop. EDIT: Double post. See above post for edit.